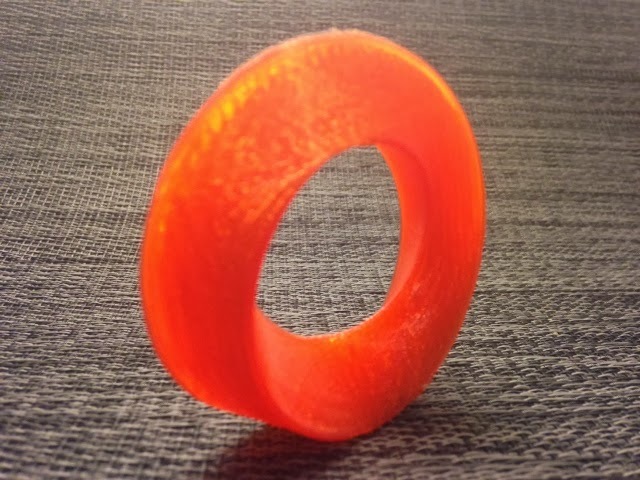 Settings: MakerWare .3mm/low using the custom knot support described in Day 110. 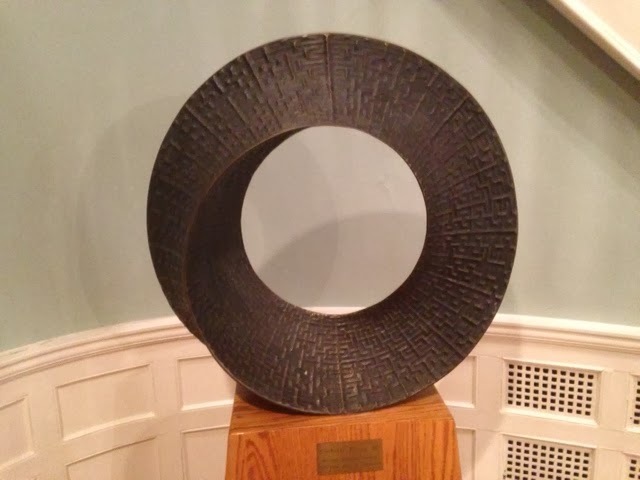 UPDATE 2/20/2014: I got to see Helaman Ferguson's beautiful umbilic torus sculpture in person at the MAA Carriage house in DC today! You can even touch it, and feel the Peano curve (see Day 61) carved into its surface. It's beautiful. You can much read more about this beautiful art piece as well as a much larger version of the piece at Ivars Peterson's Mathematical Tourist blog.